Westpac has confirmed Meat and Livestock Australia’s group manager of marketing, Andrew Howie, will joining the banking giant in a newly created role overseeing advertising. Howie joins in mid-November and will report to Westpac’s group advertising and everyday banking chief, Jen Melhiush. Howie said he was looking forward to joining the long-established financial institution. “Having banked with Westpac my whole life, the opportunity to join Australia's first and oldest bank is something I am really excited about. I'm looking forward to joining the team and working with them to create globally recognised effective and creative advertising,” he said. 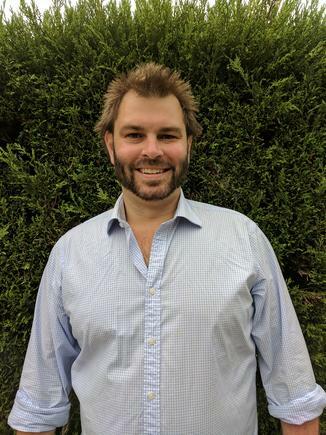 Howie has built a strong reputation for his ability to lead cut-through, daring campaigns during his more than four years with MLA, firstly as the marketing manager of consumer promotions, before rising to group manager of marketing in October 2015. It was this ongoing success in driving strategic engagement that saw Howie recognised as one of CMO’s top 50 for 2017. In fact, in discussing his career achievements to date, Howie told CMO it was the willingness of the team to take a risk that is fuelling success. “My proudest moment in the last 12 months has been our ability to continuing delivering brave, strategically led campaigns that have not only generated huge organic views, but also really set cash registers ringing,” he said. A spokesperson for MLA said the team has already conducted a recruitment process to fill the position, and a preferred candidate with a wealth of consumer food marketing, category management and account management experience in Australia and overseas has accepted. A formal announcement will be made in coming weeks. In the interim, MLA has engaged the services of leading strategist and marketer, Chris Bulford, from Circ Consulting to assist its chief marketing and communications officer, Lisa Sharp, to support the local marketing team and manage its upcoming 'Summer Lamb' campaign, until the new group marketing manager starts. "Mr Howie, together with the domestic marketing team and MLA's agency partners, have delivered some notable campaigns and ultimately significant returns to levy payers in recent years," the spokesperson told CMO. "This has included record breaking results for the last three Summer and Spring Lamb campaigns that has helped secure annual volume growth of 3 per cent last financial year for the lamb brand. "Mr Howie and the team have also made significant changes in how they work during this time, including the implementation of strategic account management principles for the Retail and Food Service channels and optimisation of services to the Independent Retail Channel – all of which have yielded efficiencies for levy payers while maintaining MLA’s high quality marketing. "MLA would like to thank Mr Howie for the passion, energy, enthusiasm and creativity he has brought to MLA during his time and wish him all the best in his new role."